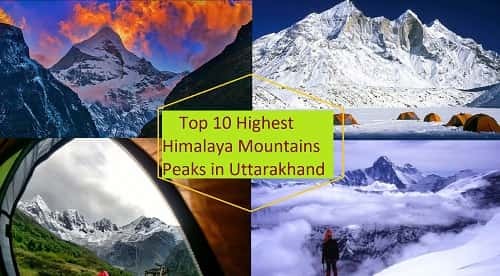 Popular from being one of the most mysterious lakes in India, this high altitude lake sits on an elevation of 5,029 metres above sea level in the scenic district of Chamoli and amongst the perimeters of the great and iconic Nanda Devi national park. 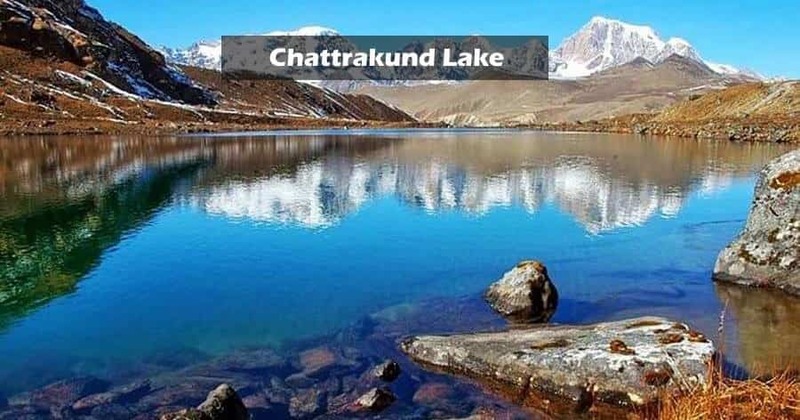 This famed high altitude lake has attracted trekkers since a long time due to its scenic beauty and unmatched tranquillity that it has to offer. 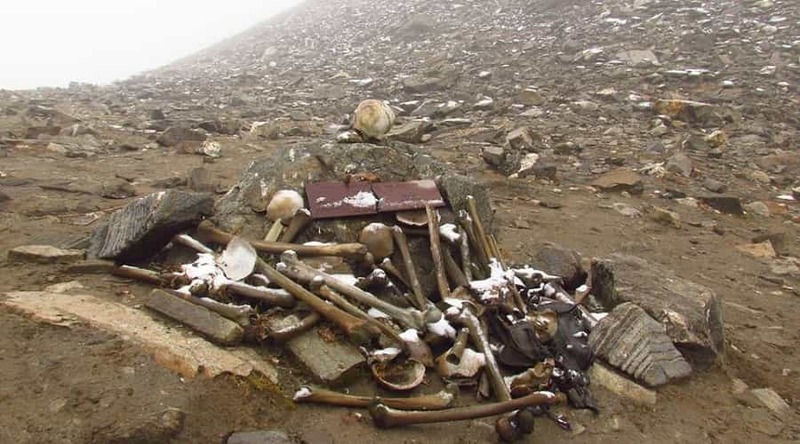 Apart from its obvious Himalayan beauty the lake of Roopkund is famous for its mysterious findings of skeletal remains which dates back to as old as 850 AD. These skeletal remains have been described to be that of humans and horses. These skeletons line the entire perimeter of the lake and scientists have said that there are over 200 bones excavated here. 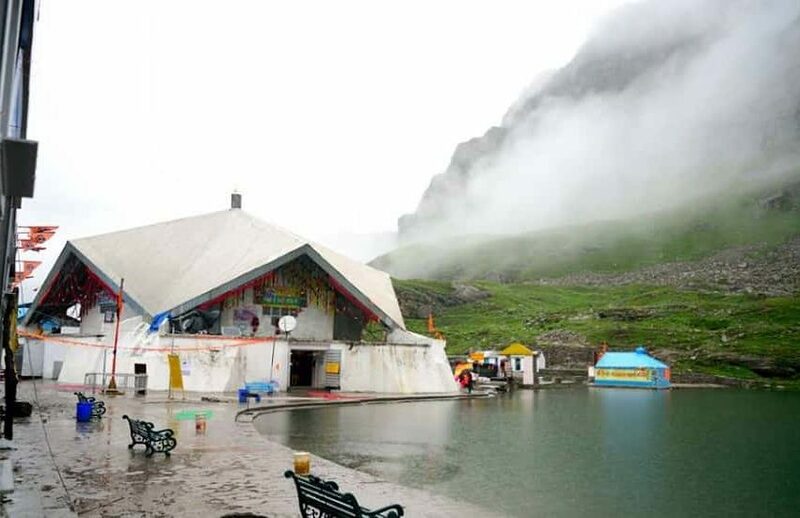 According to a popular mythological account goddess Parvati was completely mesmerized by herself when she looked into the gleaming waters of Roopkund Lake and saw her reflection. She then passed on half of her beauty to the lake. This lake is visibly and beautiful in an extremely obvious and an undeniable manner. 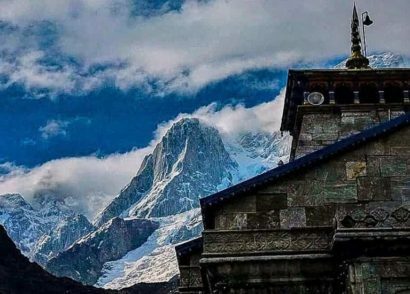 One can have the magnificent views of the overlooking and surrounding peaks of Trishul and Nanda Ghunti among other snow clad peaks. 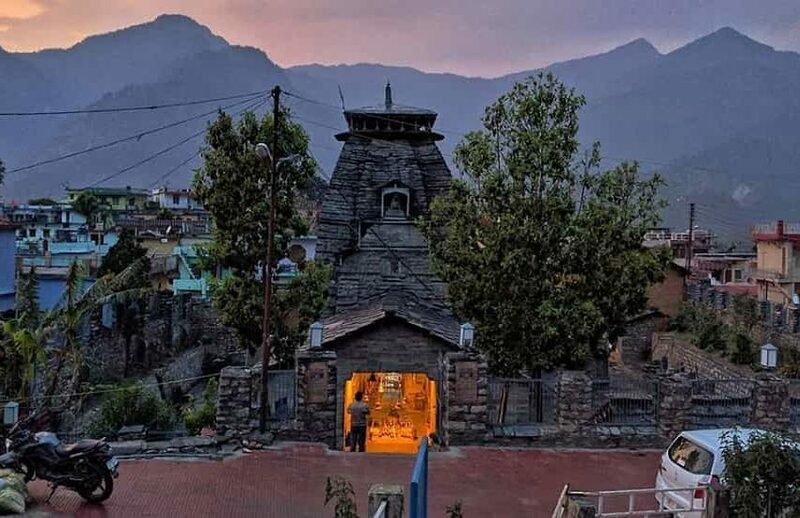 Another mythological account refers to the fact that when Lord Shiva and Goddess Parvati were going to their home in Kailash Parbat, Parvati had killed a demon and was looking to clean herself. 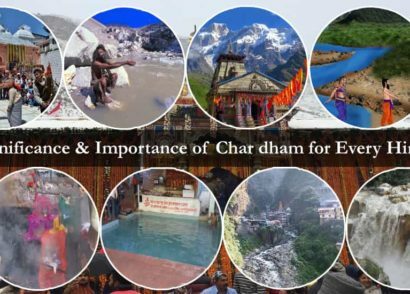 Taken this into consideration Lord Shiva created a lake with the help of his Trishul. Parvati took a dip in its holy waters and took a look at herself in its beautiful reflection. This the way this lake was named Roopkund. In the year 1942, a park ranger came across a collection of hundreds of skeletons in a lake. Ever since the discovery of these skeletal remains numerous theories were brought to light regarding its origin. The popularity of the mysteries surrounding this lake grew at an incredible rate and it attracted the attention of the worldwide channel of National Geographic who conducted a thorough and in depth research about his lake. Results of this research show that the bones showcase almost 300 to 600 people and date back to the 9th century. This group of people are believed to have perished amidst a sudden and unexpected hailstorm that carried with it massive balls of ice which was said due to the cracks that were discovered on the skeleton’s head. It is still a mystery as to where this group of people was headed to, since there are no pilgrimage routes or trade trails here. An operation that took place in 2004 at the lake revealed that all the bodies discovered here and after the completion of their DNA research proved that these bones dates back to 850 AD. The DNA research also indicated that these skeletons belonged to two distinct and ethnic groups of people belonging to one tribe of locals or they are related in any way belonging to the same village. Apart from the skeletal remains, other discoveries were made like – rings, spears, shoes, bamboo staves etc. 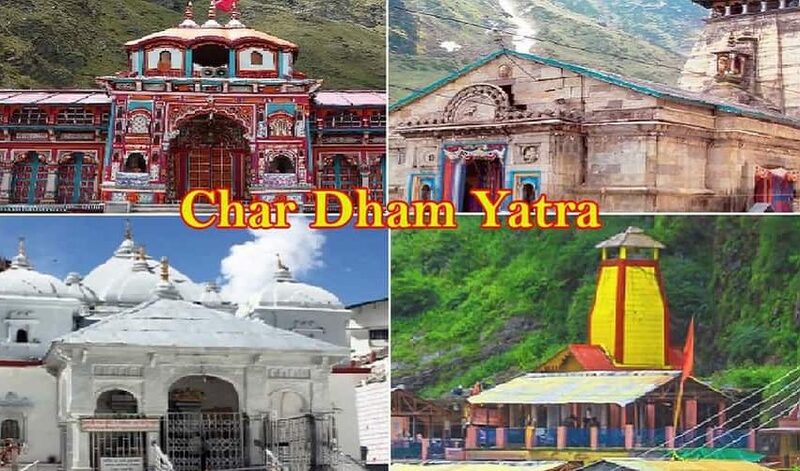 all these discoveries revealed to the experts that this group of people were headed on pilgrimage through the valley with the assistance of the locals. 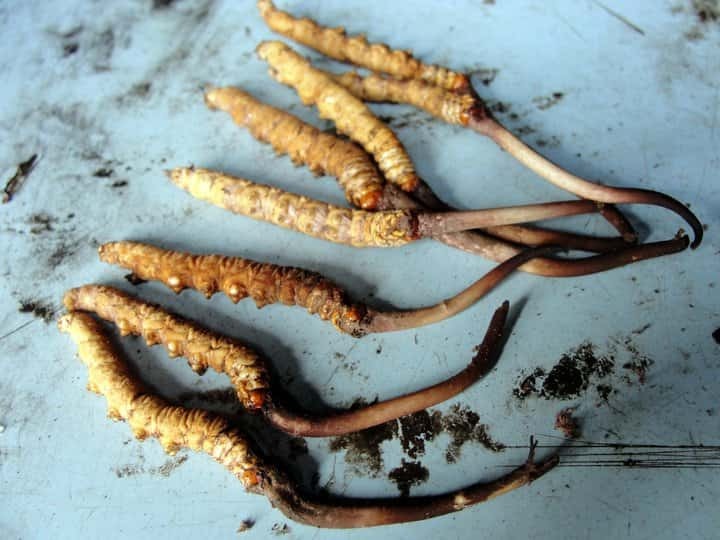 This medicinal plant or locally popular in the name of Keeda Jadi, collecting these high altitude Himalayan roots are a treasure in the East Asian regions. Each spring season various local families flock together and make their way to the high altitude regions of the Himalayas which can be as high as 3,500 metres above sea level which is the ideal growing situation for this caterpillar fungus. This is a magical naturally occurring mutant which holds incredibly potent and long lasting medicinal properties. Not only it is an ideal energy booster but it is also a natural aphrodisiac. 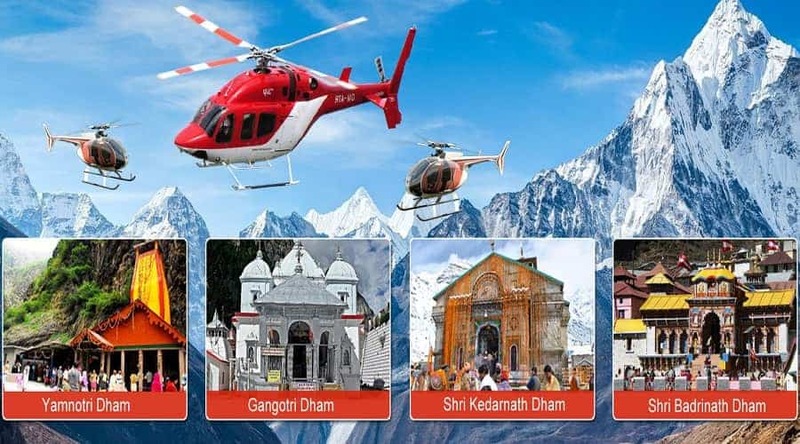 Keeda Jadi is extremely valuable and sold at expensive rates all over the world and people who go on the slopes of these hills brave through tough weather conditions and high altitudes to gather it from the ground. Take a refreshing break at the magnificent and stunning Ali Bugyal which also contains a small pond which is overlooked by the Nandaghunti peak. 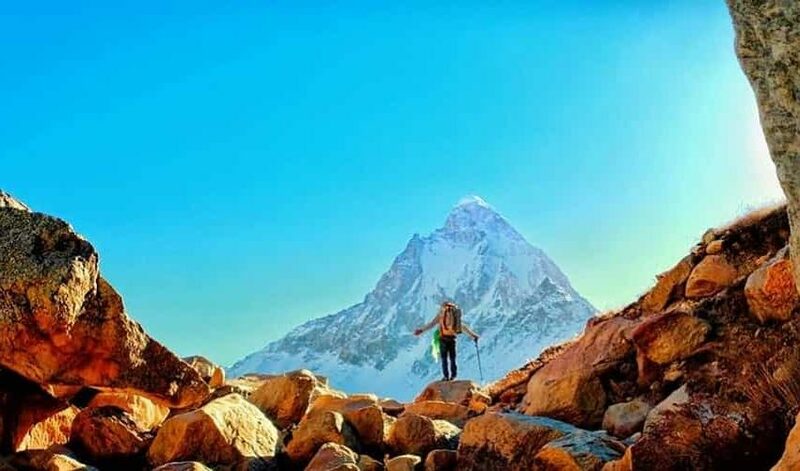 You can walk up till the Bedni Kund which is situated in close proximity to this trekking trail and watch the sunset on the peaks of Trishul. 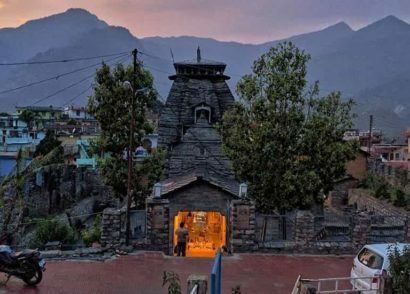 Offer your prayer at Kalu Vinayak temple which is a rugged stone structure and offers stunning and panoramic views of the surroundings. 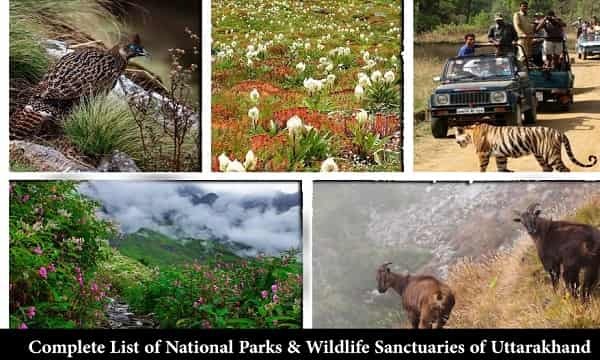 Your entire trekking route will be lined with colourful plants and you may also be able to look for the high altitude Himalayan plant called Brahma Kamal. Keep your eyes open to spot some high altitude Himalayan birds that encircle the whole area. One commonly occurring which could be noticed is the bearded vulture. 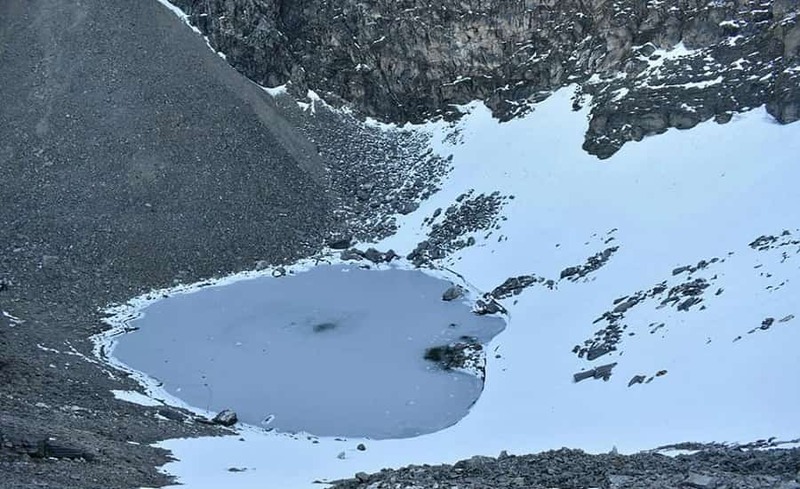 The lake of Roopkund is not connected with the help of any motorable roads and it requires you to cover a trekking distance of 23 kms from the last motor head at Wan village. 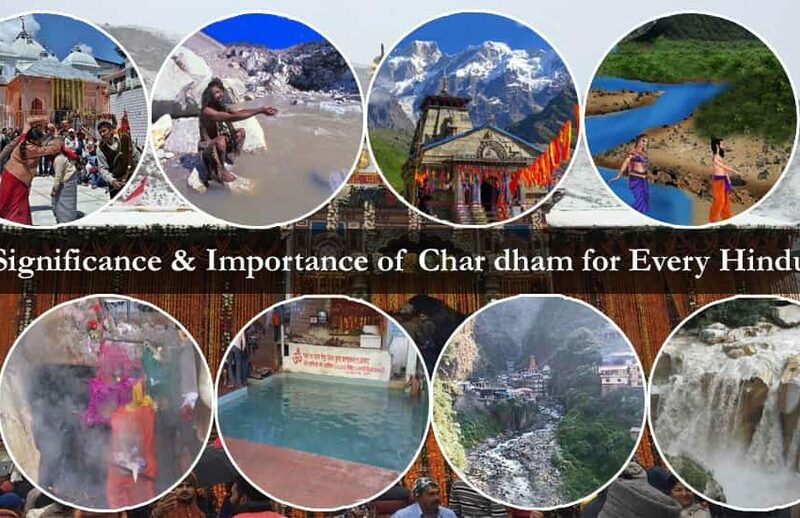 So the entire journey to Roopkund is divided into two parts of – motorable and trekking parts. 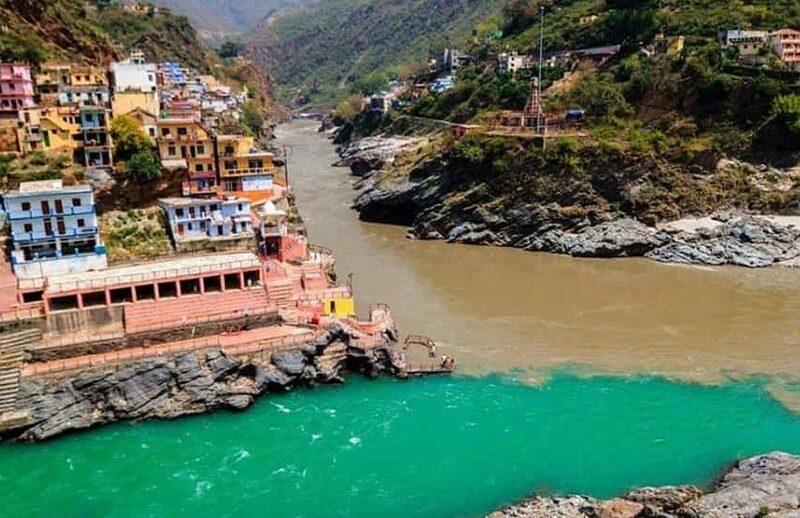 Delhi – Haridwar / Rishikesh – Karnaprayag – Tharali – Dewal – Lohajung – Wan Village. 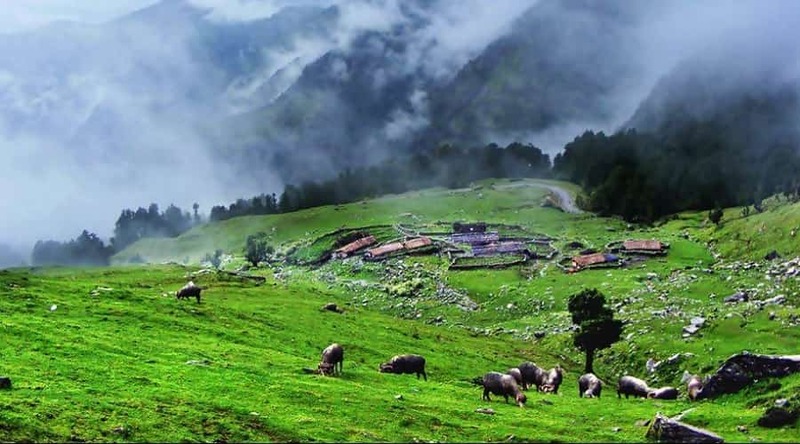 Trekking Part – This village is popular among trekkers for being the base camp for Roopkund Lake as well as Bedni Bugyal. 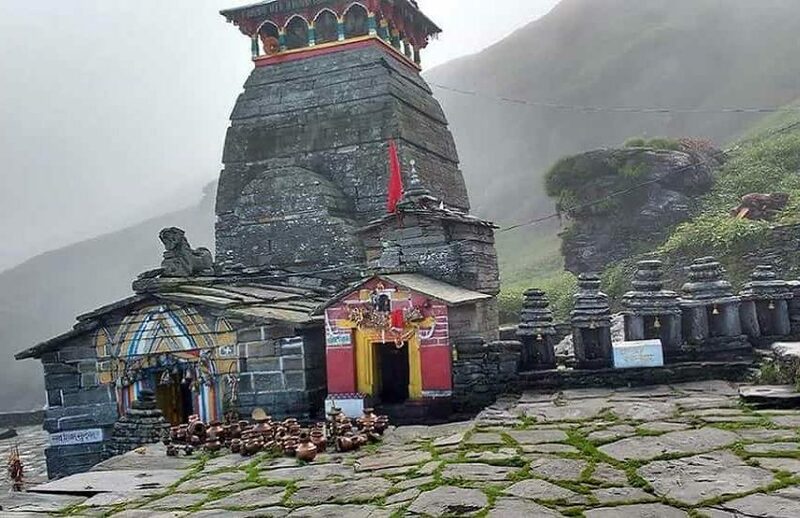 Apart from Wan village, there is another route from Lohajung for reaching Roopkund. 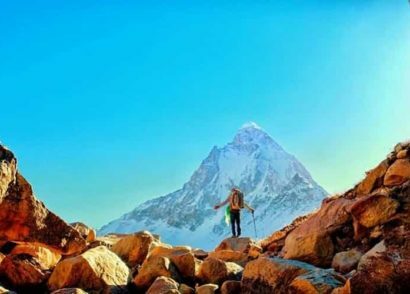 From Lohajung the following route is followed: Lohajung – Didna village – Ali Bugyal – Bedni Bugyal – Patar Nachauni – Bhagwabasa – Roopkund – Junargali – Patharnachni – Bedni Bugyal – Wan Village – Lohajung. 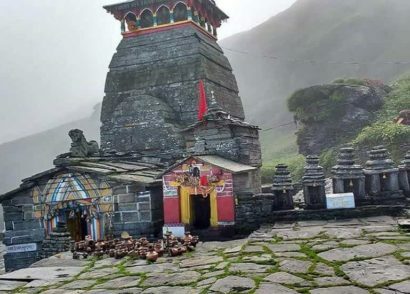 The trek to Roopkund is undertaken in the months of May and June which is the best possible time to go there since it is the time right before the monsoon months. 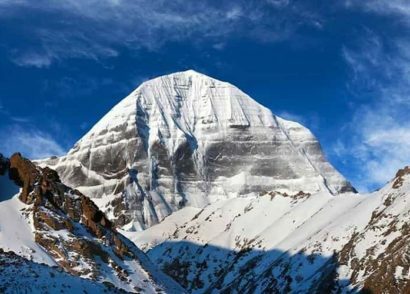 The next window for a safe and secure trekking journey expedition will be after the monsoon months of August and September. In case you choose the May June window then you will be experiencing a richer and a lusher green Bugyal. 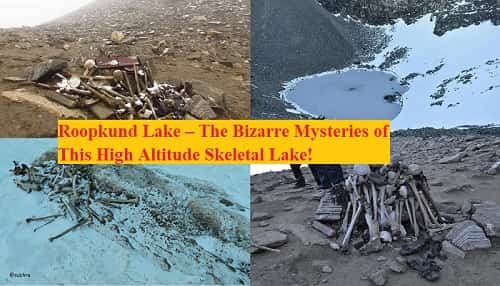 The lake of Roopkund will also be melted and you will be able to witness the eerie sight of the skeletal remains that are scattered all around the lake. 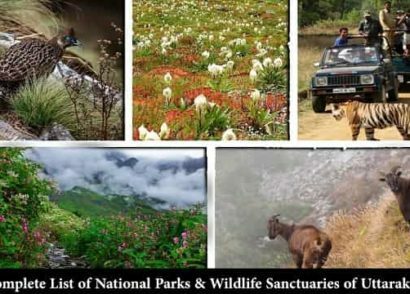 You will be encountering browned mountain sides with green patches here and there, which will still be extremely pleasing to the eyes, if you visit Roopkund during the month of September. 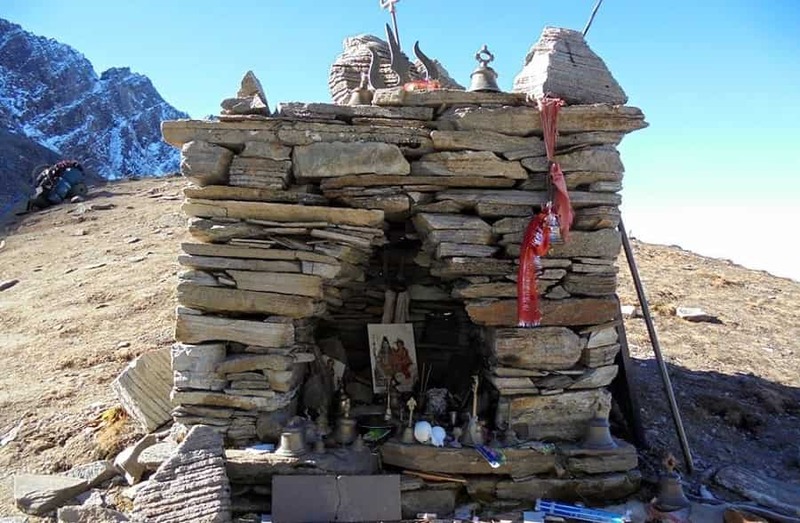 After September you will be encountering a lot of snow on your trail to Roopkund and it is also possible that the lake will be completely frozen and the skeletons will be buried inside the thick layer of snow that covers this region. 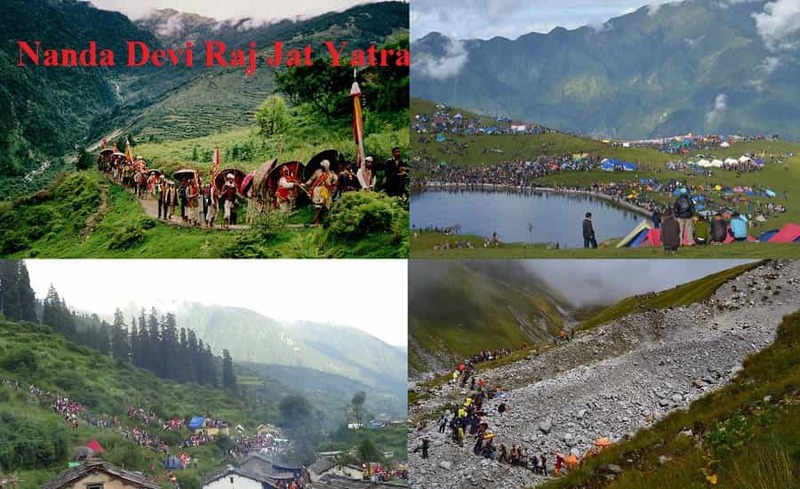 The great pilgrimage of ‘Nanda Devi Raj Jat Yatra’ which takes place at a duration of every 12 years is considered to be one of the most pious and holy Yatra journeys for pilgrims to undertake on the hills of Uttarakhand. 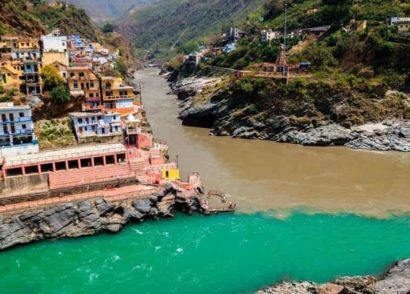 The journey commences from the nearby village of Nauti which is situated in close proximity to the holy village of Karnaprayag and concludes at Homkund (which should not be confused with the popular Hemkund), which is also situated close to the lake of Roopkund. 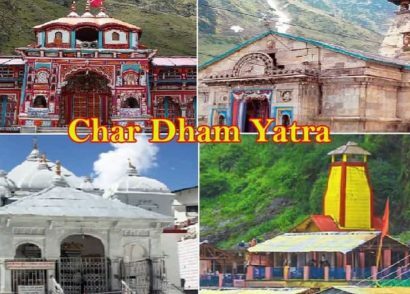 As the name suggests this Yatra journey is entirely dedicated to Goddess Nanda and the journey is taken up by a large number of people from both Garhwal and Kumaon part of Uttarakhand. 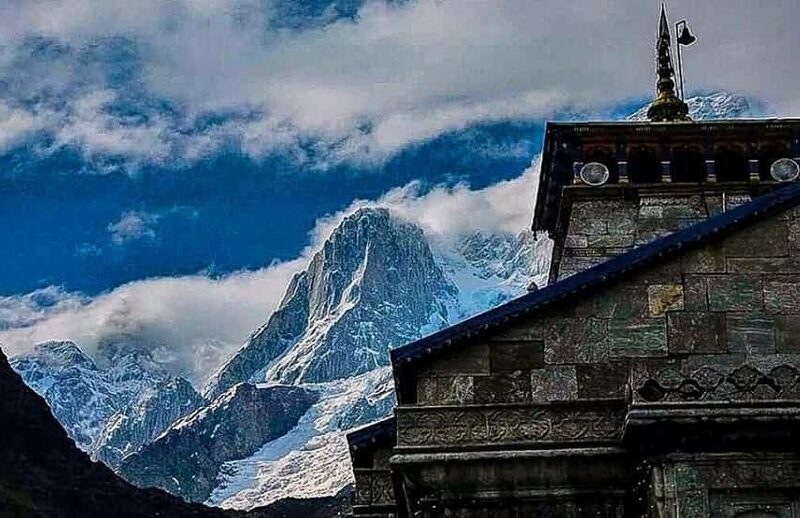 The entire pilgrim journey covers a large trekking distance through the rough Himalayan terrains with multiple stoppages in between including a stay at Dayara Bugyal. People carry four-horned sheep and colorful dolis in the form of gifts for goddess Nanda. 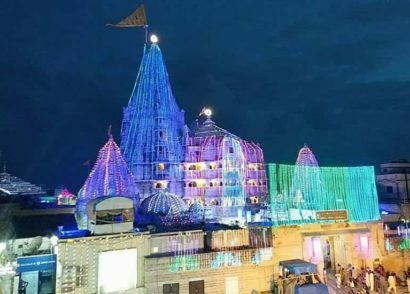 The entire journey is filled with great zeal and enthusiasm where the pilgrims entertain themselves by singing local and traditional songs. 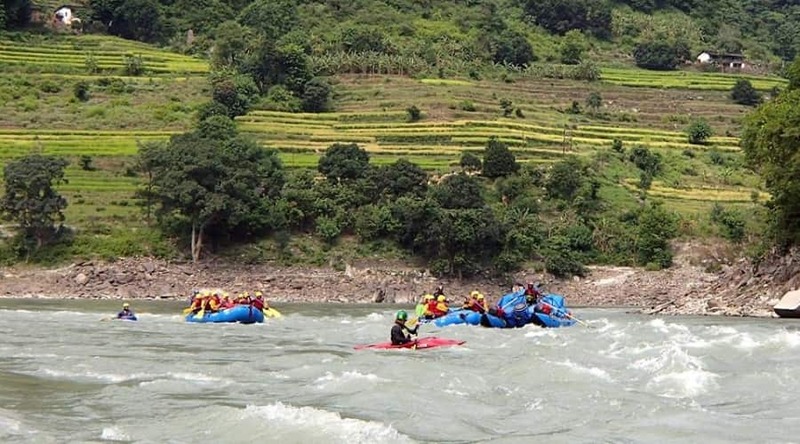 This scenic lake is a part of the magnificent Bedni Bugyal and sprawls over an incredible area of 20 sq. km. this glacial lake is located on an elevation of 3,354 metres above sea level and is adjacent to the lesser known Ali Bugyal. 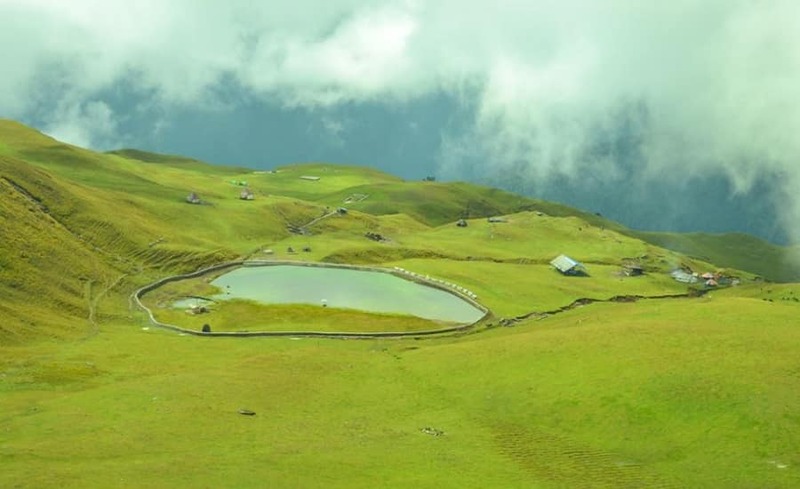 This Kund is located on the area which is considered to be one of the largest grasslands in Asia. 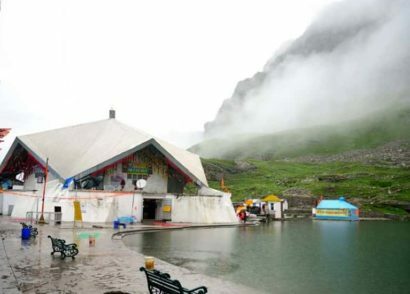 This lake is a popular pilgrimage destination and is believed that Aradhya Devi Nanda’s palanquin was once kept here. 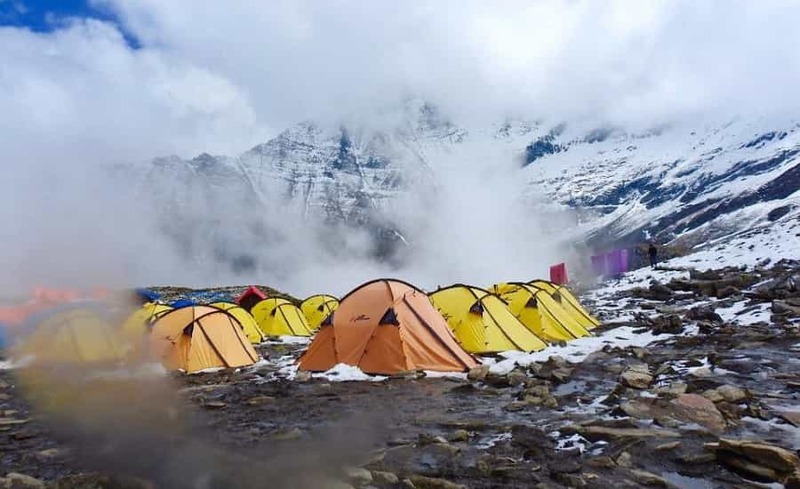 People trekking up till Roopkund make it a point to visit Homkund Lake in case they are looking to spend some leisurely time and explore some nearby sightseeing destinations. 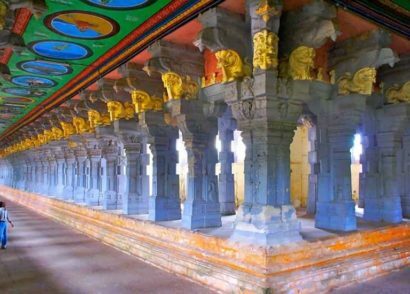 Not only is this place famous for its religious significance but it also offers some of the most scenic views of the surroundings. 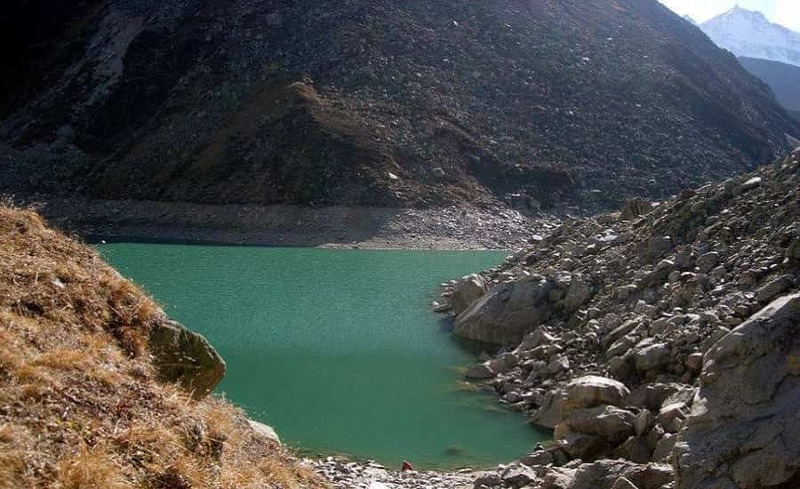 This small, scenic and rejuvenating sweet water lake is surrounded by immense lush greenery and is situated at a comfortable distance of 4 kms from Auli and 3 kms from Gurso Bugyal. 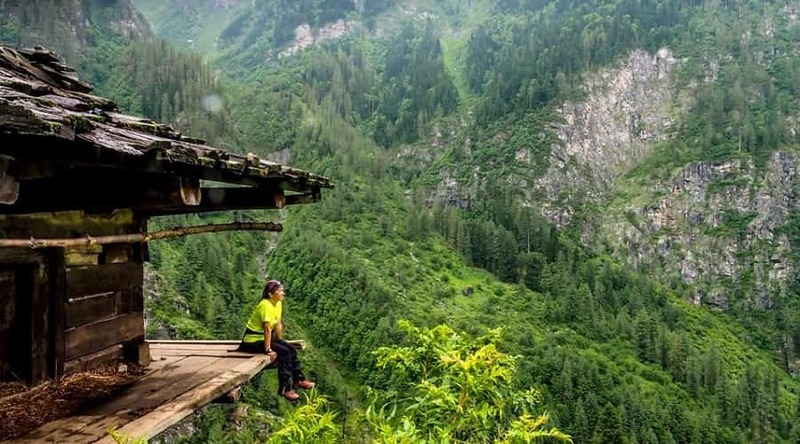 People visiting Auli also have the option of visiting this lake if you are looking for a quick sightseeing getaway.